When Toshiba Moves, Technology Moves | Marking a Milestone: Fab 6 is Here! The day has come! 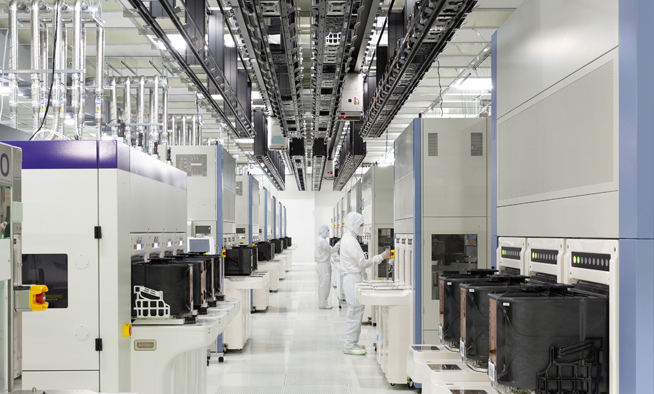 We’re in the mood to celebrate, because our new, state-of-the-art semiconductor fabrication facility, Fab 6, and Memory R&D Center are both now open at our Yokkaichi Operations! The opening of Fab 6 is a major milestone for Toshiba Memory, and proof positive of our commitment to leading the future of flash memory forward. Dedicated solely to the production of our industry-leading BiCS FLASH™ 3D flash memory, construction began on Fab 6 early last year. Flash forward to today (no pun intended) – and our new fab has already started mass producing our latest innovation, 96-layer BiCS FLASH. Fab 6 features cutting-edge manufacturing equipment for all key production processes including deposition and etching – and our work at the new Memory R&D Center will explore and promote advances in the development of new memory technologies. Our flash memory fabrication facilities are the largest and most advanced in the world – and the addition of Fab 6 is another feather in our cap.